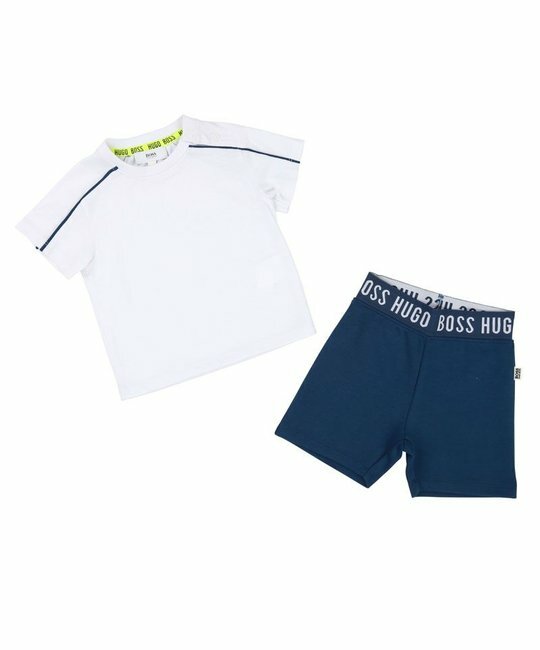 BOSS soft cotton white tee shirt and matching branded blue short set. 72% Polyester, 28% Cotton. Imported.